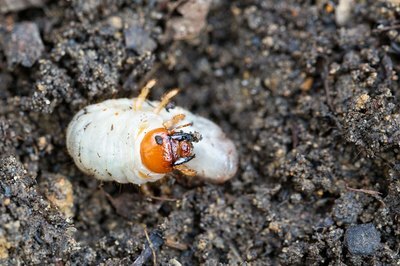 Grubs, or grub worms, are a common pest problem that affects lawns. These are the larvae of Japanese and June beetles, as well as Chafers. 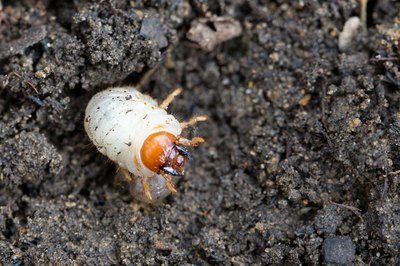 You may be able to get an early read on a grub problem in your lawn if you notice the presence of adult beetles and patches of dying grass. Cut back a square-foot patch of turf and look underneath; if you see small, white worm-looking creatures, these are infesting your lawn. Once they are there, the scores of grub prevention products available will more than likely not be effective. These products are just grub prevention and not for solving an already existing grub problem. 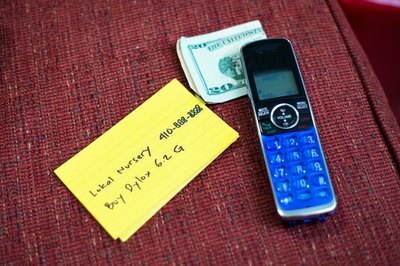 To get rid of an existing grub problem, you will need to take another course of action. Look closely for any grub activity in the summer and early fall. 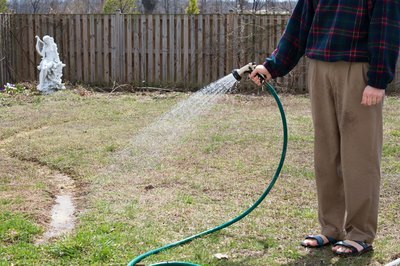 It is best to treat the lawn at this time rather than in the spring when the problem will be more difficult to control. 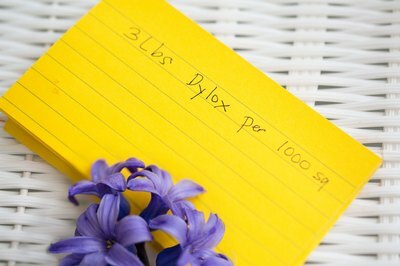 Purchase Dylox 6.2 G, sold in granular form in 30-lb. bags, from a local garden or nursery store. Do not be misled by the many grub products that are prominently displayed; these are for prevention purposes only and will most likely not be effective on your existing grub problem. Apply the Dylox by way of a mechanical spreader at a rate of 3 lbs. per 1,000 square feet. Read the directions on the packaging to confirm this rate, but err on the side of applying too little rather than too much. This is a good rule of thumb when applying any treatment to your lawn. You can always add more later if necessary, but you may cause irreparable damage by applying too much the first time. Water the Dylox into the lawn immediately after the application, as sunlight has the effect of breaking down the active ingredient in it. This will also have the effect of moving the Dylox down deep into the soil of the lawn where the grubs live. The grubs will ingest the Dylox, and will immediately stop causing damage to the lawn. They will eventually die and you can then take measures to repair and restore your lawn without grubs undermining your efforts. What Causes Grubs in Lawns?